A man who sacrificed for his country country got a priceless gift while in a hospital bed. 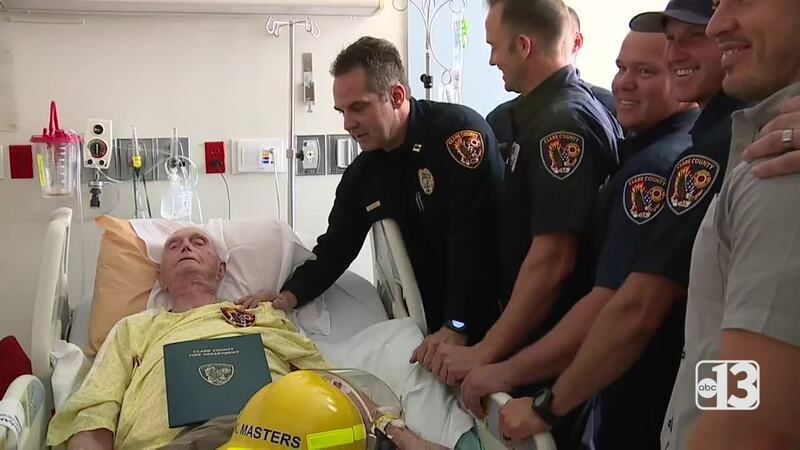 Clark County firefighters made a special bond with Kenneth Masters, a World War II veteran. They met Masters when he called 911 for chest pains about five years ago. They had no idea one day they would give him one of their highest honors. Friendship brought them together. Masters is a widower and he doesn't have any family nearby. First responders became his family. They saw his Purple Heart and Bronze Star awards during that first medical call and asked him about his service. The veteran's strength would floor anyone. "If I could get up right now...I would be the first to enlist," Masters said. Masters and the firefighters bonded more and more over meals and holidays. 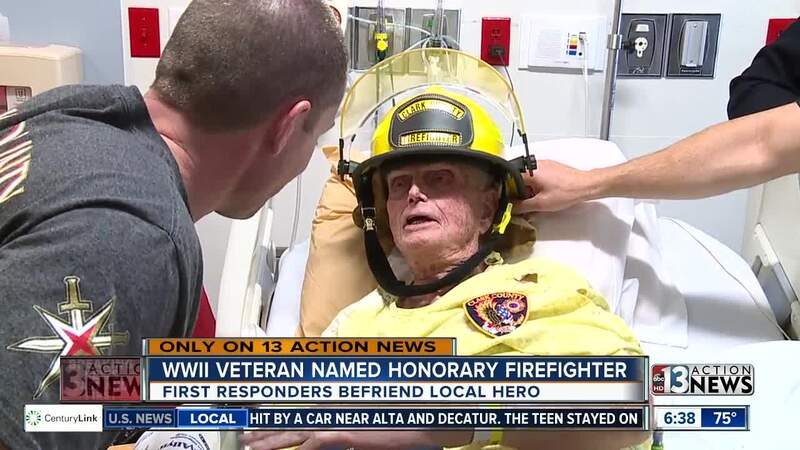 Wednesday, the Clark County Fire Department named him an honorary firefighter. "Firefighters are angels. They save lives," Masters said. Next month Masters will be 94 years old.